Yesterday the successor to the hugely popular Xbox 360 was announced via live webcast, and thousands tuned in for their first glimpse of the Xbox One. 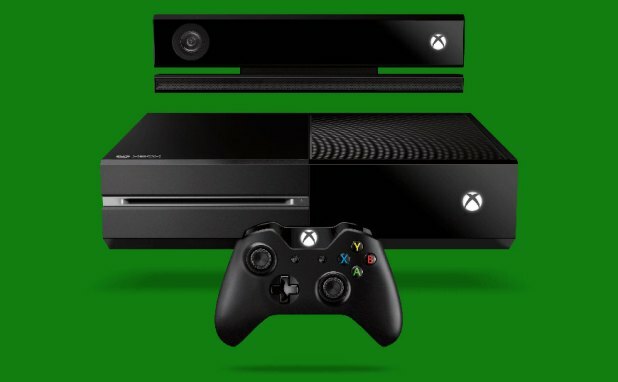 Billed as ‘the ultimate all-in-one home entertainment system’, the Xbox One aims not just to be a next generation games console, but also to dominate the smart TV and home entertainment market – even announcing that Steven Spielberg will be producing a Halo-based TV show exclusively for the Xbox One. In terms of specification, the new Xbox features an eight core CPU, 8GB of RAM (with 3 GB reserved for apps and the operating system), a 500GB hard drive and a Blu-Ray player – statistics that are fairly comparable to the stats that Sony announced for their PS4 back in February. However, the Xbox One will also come with a much-improved Kinect, designed to track minimal hand, wrist and shoulder movements, better voice recognition and even be able to read users’ heartbeats. It will also be able to record 1080p video. The Xbox One will also feature two ‘modes’ – one for gaming, one for apps and internet browsing – that means that two activities can be run simultaneously, such as gaming and browsing the internet. Great for reading walkthroughs online while playing a game. Whilst Microsoft’s eyes may be on becoming the big thing in all round home entertainment, we all know the games are what matters. Last night the big reveals included EA’s upcoming sports releases (FIFA 14, NBA Live 14, Madden NFL 25), Forza 5 and the new Call of Duty: Ghosts, as well as sketchy details about Quantum Break, the new release from the people behind May Payne 3. Games will now be installed to the hard drive and can be played without having to use the disc. A new and improved matchmaking system for online gaming will be provided for developers to utilise, and use of the cloud-based Live servers should allow developers to create more ‘living and persistent worlds’ – presumably along the lines of the new SimCity responsive gameplay. However, unlike SimCity Microsoft have insisted that the Xbox One won’t have to be permanently connected to the internet (although reports have suggested that a connection every 24 hours will have to be established, as well as a connection whilst installing games). So where’s the downside? As always, some of the big reveal hasn’t gone down overly well with the core fans. The Xbox One has no backwards compatibility with Xbox 360 games (due to the Xbox One’s switch to x86 architecture), and there has been no announcement regarding a work-around solution for this (unlike Sony, who announced a streaming service to combat this very issue at their big reveal). Also, a confusing series of announcements and updates has clouded the issue of second-hand games – Microsoft appear to be insisting on a ‘one disc, one owner’ approach to games, with the game being installed to an Xbox Live account. Once the disc is passed on, the installation for the original owner will no longer work. So far there has been no clarification as to how this would work for multiple accounts on one Xbox, and a confusing set of announcements and denials has so far not clarified if a fee would have to be paid for unlocking a second-hand game and installing it to a new owner’s account. This has already proved to be an extremely unpopular announcement for the gaming fan base, and hopefully further announcements will clarify the issue once and for all. All eyes are looking to the upcoming E3 event for more information – both from Microsoft and from Sony.